and Masters in Music (Violin Performance) from UNCSA. the UNCSA Concerto Competition. Mrs. Weesner traveled the country, from Orlando to Brooklyn to Alabama, and finally decided to stay in her birth state of North Carolina, marry her amazing husband Joshua, and start a family. Both Amelia and Joshua grew up in strong Suzuki studios in the 1980's. Knowing firsthand how valuable a good Suzuki studio can be for a student's education, they have built their Suzuki violin studio in Kernersville, NC. In addition to managing the studio, teaching her wonderful students, and performing locally, Mrs. Weesner is honored to have the most important career ever, which is mother to her four beautiful children. childhood as a Suzuki student under Margie Keller. Festival, and the Henry Mancini Institute. Symphony Orchestra, the Huntsville Symphony Orchestra, and the Chattanooga Symphony. As a recording artist and touring musician, he has performed with Ray Price and the Cherokee Cowboys, the Collection, Martha Bassett, and many more. Mr. Weesner has enjoyed an extensive career providing custom music services for touring stage productions. For seven years he worked for the music notation software company Notion Music. His positions there included Quality Assurance Lead, Sound Editor, and Manager of Live Services. With Notion Music as well as independently, Joshua has been the Associate Music Supervisor for the national and international touring productions of: Cathy Rigby is Peter Pan, The Wizard of Oz, Annie, Baayork Lee's A Chorus Line, Jekyll and Hyde, Franco Dragone's India Circus, and Kung Fu Panda. Mr. Weesner is very knowledgeable about Music Technology and is an accomplished recording engineer, composer, song writer, orchestrator, and arranger. Currently he is composing original music for video games with Razor Edge Games. Mr. Weesner has nine years of experience teaching violin to students age three through adult, from beginner to pre-college level. 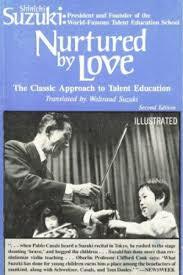 For beginners, he uses the "mother-tongue approach" of the Suzuki Method, for the benefit of ear-training and basic violin technique. For advanced students, Mr. Weesner moves to traditional methods and repertoire. For group classes and recitals, Joshua and Amelia like to team-teach, combining their efforts and their students for these larger group learning experiences. Joshua has had Suzuki Books 1, 2, and 3 training with James Hutchins. 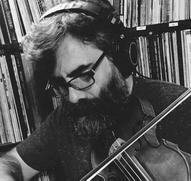 In addition to instruction in classical violin, Mr. Weesner offers instruction in fiddle, music theory, instrumental improvisation, song writing, and music technology. He strives to make music interesting, challenging, and fun for students of all ages! This year we have 37 weekly lessons, plus 14 group classes (held approximately every other week), and 2 recitals with a professional accompanist. We also teach during the summer and encourage families to schedule at least 4 lessons that fit in with their summer schedule. There is one $75 class/recital fee per term ($150 per year). Siblings receive a 50% discount on the class/recital fee. Students usually start with 30-minute lessons. Contact us. We are happy to hear from you and we hope you can join us! A requirement to join our studio is to first observe multiple lessons during a free trial period in which you learn about violin lessons. Please keep in good communication with us and continue contacting us until your lesson observation is scheduled. With weekly private lessons, students receive individual attention that is crucial for the student's skill development. 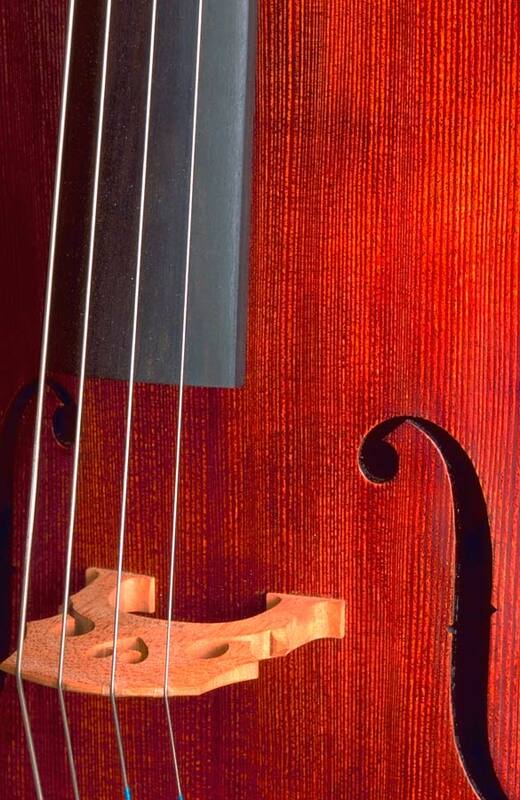 Advanced players make violin look easy, but in truth it requires many, many years of private lessons with consistent, dedicated home practice. The journey is amazing, and filled with benefits that profoundly affect the student's total development. In our studio, the parent observes and participates in the private lessons. For the rest of the week, the student practices daily at home, with the parent as the "home teacher." Parents will be more hands-on with younger students. When students are older and more independent, the parent is still involved as one who oversees and supports the student's efforts. A very important component of our program is group classes. In the group setting, students work on the skills they are learning in the private lessons, expanding on those skills in a fun yet challenging way along with their friends and peers. We play games with our pieces that are only possible to play in the group setting. Also, when students see other young students playing violin at various levels, this not only teaches them more about violin, but inspires and motivates them to push forward with a positive and healthy attitude! Beginner students are inspired by advanced students, and advanced students encourage each other and the beginners. Sometimes students of similar ages and ability will engage in a bit of friendly competition with each other-- more inspiration to keep working hard in order to make progress. 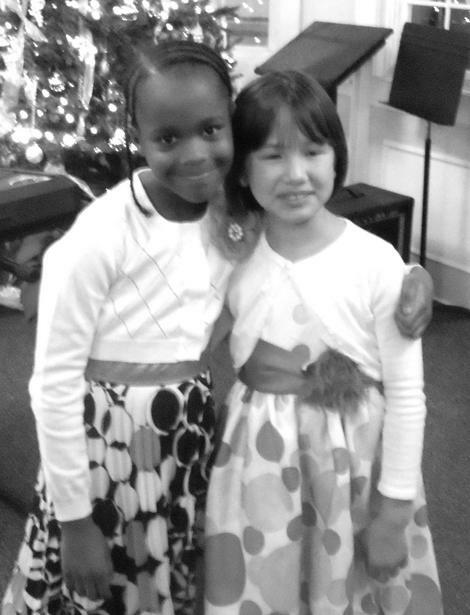 All students participate in the recitals, which we have at least twice per year. We give recitals to our community at places such as assisted living centers, and we also have a yearly formal recital in a recital hall or other formal setting. For our formal recital, every student performs a solo, in addition to pieces performed as an ensemble. The teachers also perform solos and/or duos as much as possible, so that the students can hear them and see their example. This is a Suzuki Program. What is Suzuki? 1. 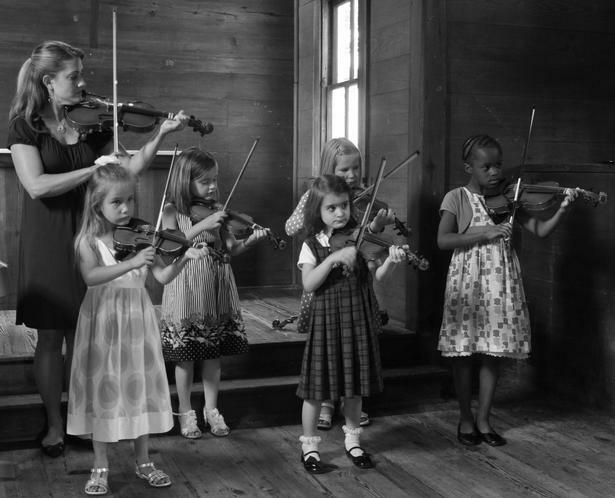 Every child can learn to play the violin. We pursue excellence with each child. 2. The teacher, parent, and student work together. The parent is involved with lessons and is proactive at home as the "home teacher" or "practice partner." 3. Music is taught as a language. From birth, a baby continually hears his or her parents' language at home, and learns it by age 2-3. Similarly, Suzuki students listen to music many times every day, even from birth. Older students entering the program start their listening right away. Ear training is crucial, in addition to note-reading. For parents of children aged 0-2, we will freely give information about how to create an environment at home that fosters music education. If a child can learn his/her parents' language, then s/he can learn music! suggestion is Ability Development from Age Zero, also by Suzuki. -Obtain the Suzuki Volumes 1 & 2 CDs or albums, and play them in the home every day. You can do this while the chid is playing, eating, falling asleep, or any time. -Contact us for more information. It is wonderful to work with teen beginners! 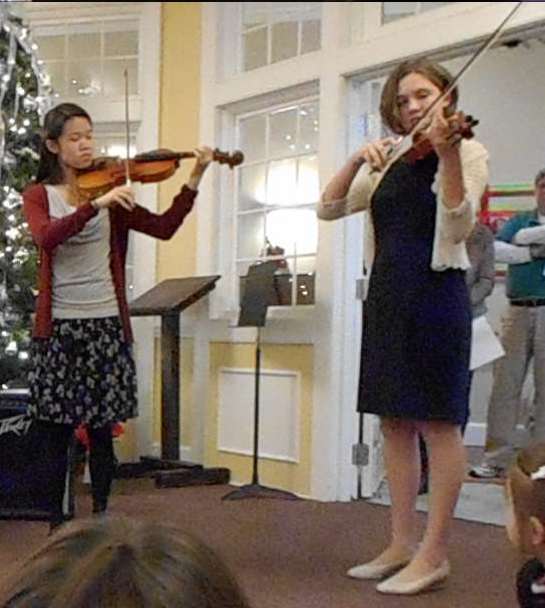 Middle and high schoolers can achieve so much through violin. Your middle or high school student may be a brand new beginner, or s/he may have experience with a school orchestra or youth symphony. We accept students in both situations. 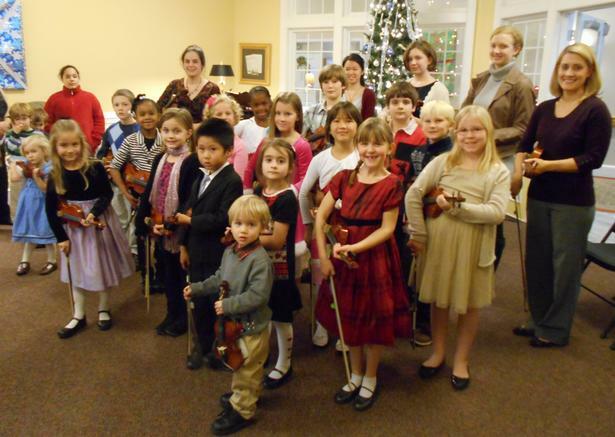 Teen beginners find incredible value in learning violin. They learn perseverance, confidence, how to learn, time management, leadership, poise, problem-solving, how to realize their own potential, self-expression, plus an artistic and creative hobby that they will enjoy throughout life. Copyright 2011-2018 Amelia Weesner. All rights reserved. Unauthorized use of any photographs and/or content contained on this website is strictly prohibited. Please CLICK on this image for a beautiful video clip from the DVD "Nurtured By Love!" After you click, scroll down the page a little to find the video clip. We enjoy working with children who have learning and physical difficulties or disabilities. Our experience includes developmental delays, dyslexia, autism, Asperger syndrome, fibromyalgia, motor skills disorder, multiple sclerosis, severe memory loss, and hearing loss. 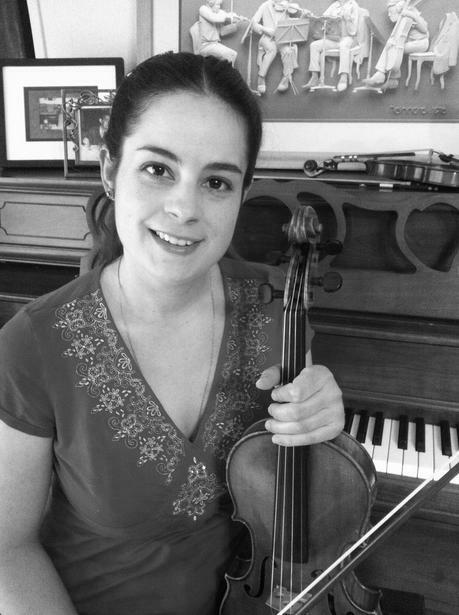 Learning violin is immensely beneficial to both brain and physical development. What about preparing for college or music conservatory? Adult Program: For adults aged 18-120 who are beginner or intermediate players. We are now open to accepting adult students in a program that is separate from our program for children. Perhaps you have always wanted to learn violin. Perhaps learning the violin will be therapeutic for you. Or, perhaps you played an instrument earlier in life, and now you want to bring it back. In our adult program you would have weekly private lessons, plus group classes with other adults. The one requirement is commitment to the program and a sincere willingness to do the work. This is a long-term endeavor that requires your patience and persistence. You will find that the reward is incredibly worth the effort! About the Teachers | To Join | Our Program | What Is Suzuki? Age 0-2 | Teen Beginners | Learning Disabilities | What About College?